When it comes to fundraising products, there’s nothing quite like offering the value of BIG savings. And with America’s largest fundraising discount network behind you, you’ll always have access to the biggest value in town. With Access Fundraising, charitable organizations can give supporters the power to save up to 50% on all their everyday purchases – right in their own neighborhood. Plus, fundraising companies looking to offer their own white-label discount fundraisers enjoy access to the broadest selection of dining, shopping, recreation and travel discounts anywhere in the industry. Or, for sports teams, school bands, dance clubs and other youth groups, Access Fundraising offers a powerful selection of ready-to-go, easy-to-sell TriQuest fundraising discount cards. Looking for a strictly online fundraiser? We’ve got a solution for that, too. WeFundThem is a secure, team-friendly fundraising platform that leverages the power of the Internet to help organizations raise more money. 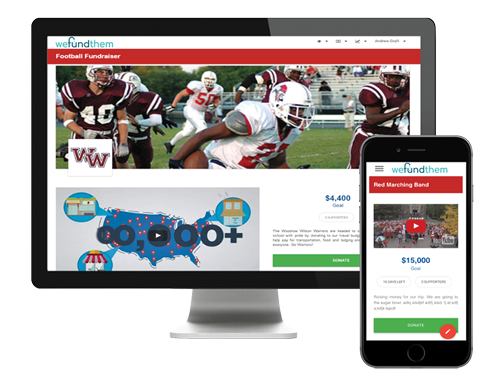 Why do sports teams and youth groups love raising money with WeFundThem? Raising money online with WeFundThem means NO door-to-door selling, NO product inventory to maintain, and NO collection hassles. Plus, WeFundThem rewards your supporters with a thank you gift – money-saving discounts that give your fundraiser instant appeal over other online fundraising platforms. 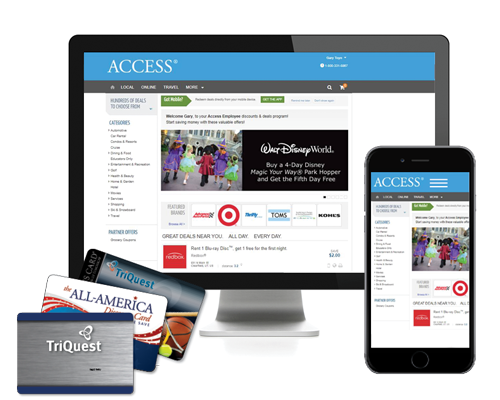 To learn more about Access discount fundraisers and online fundraising solutions, submit your request for information today.